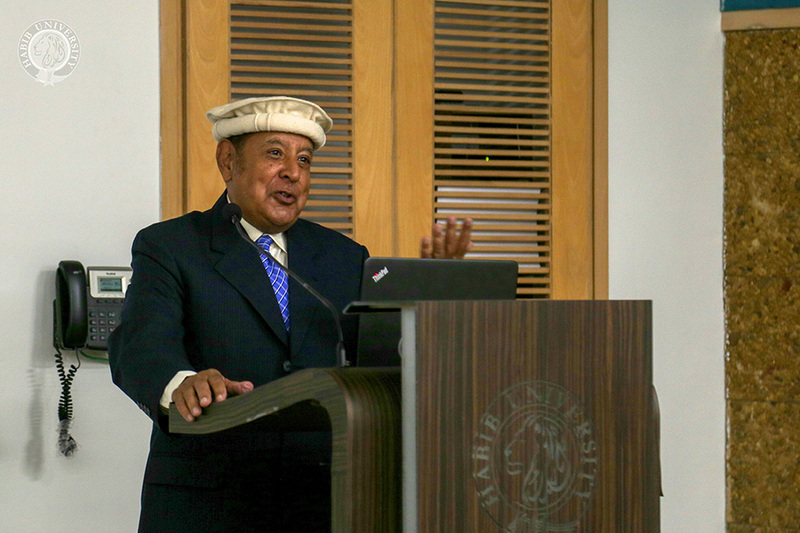 Habib University’s Dhanani School of Science and Engineering (DSSE) held a talk at the Tariq Rafi Lecture Theater on March 27th 2019, which celebrated the life and work of the revered thirteenth century Sufi poet Maulana Jalaluddin Rumi. 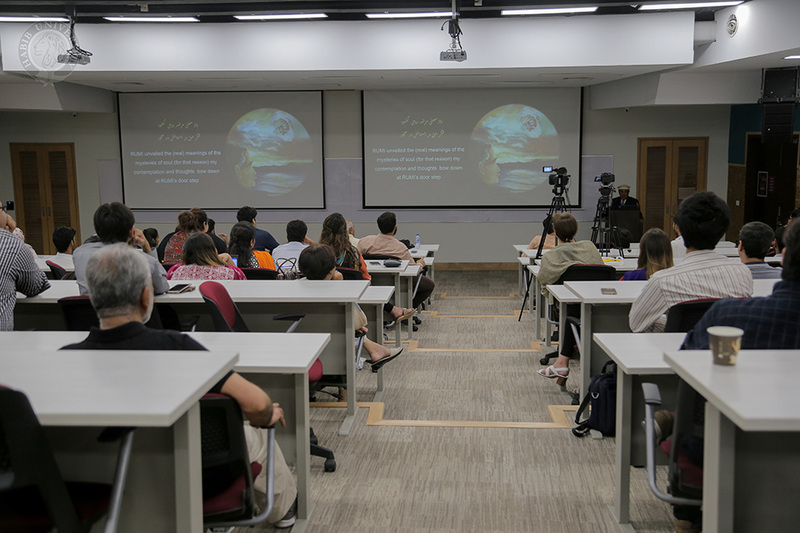 The lecture, under the theme “Rumi and the Concept of Love” was delivered by Dr. Aziz Ali Najam, a graduate of Peshawar University, who holds a doctorate in NMR Spectroscopy from the University of Sussex. In his opening remarks Dr. Najam praised Habib University in helping provide a platform for students to appreciate Rumi’s legacy, which has been passed down from one generation to the next. “I find it extremely encouraging that Habib University has kept the humanities close to their heart, which is something not being done at other academic institutes,” he said. 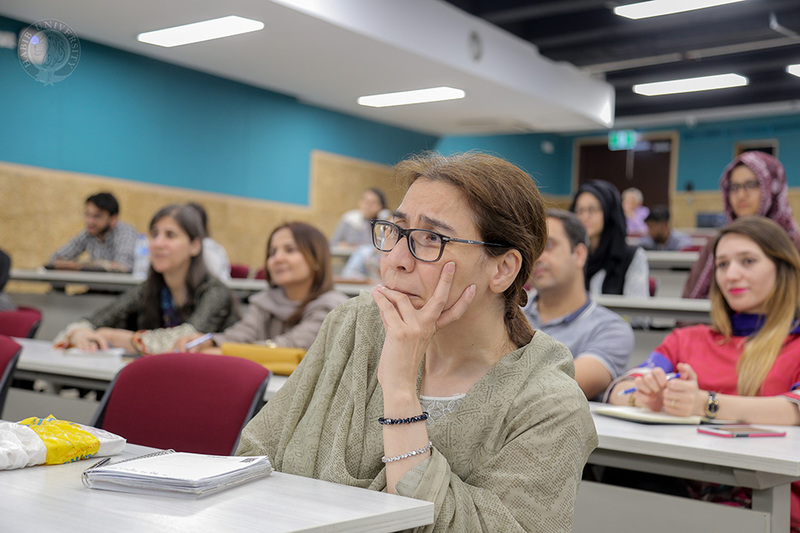 Habib University has always provided a platform for renowned professionals and academics to share their ideas on a diverse range of subjects. The essence of a Liberal Arts and Sciences education has always been its interdisciplinary nature. The discussion on Rumi was aimed to enlighten, motivate and stimulate debate and encourage participants to think across academic disciplines. 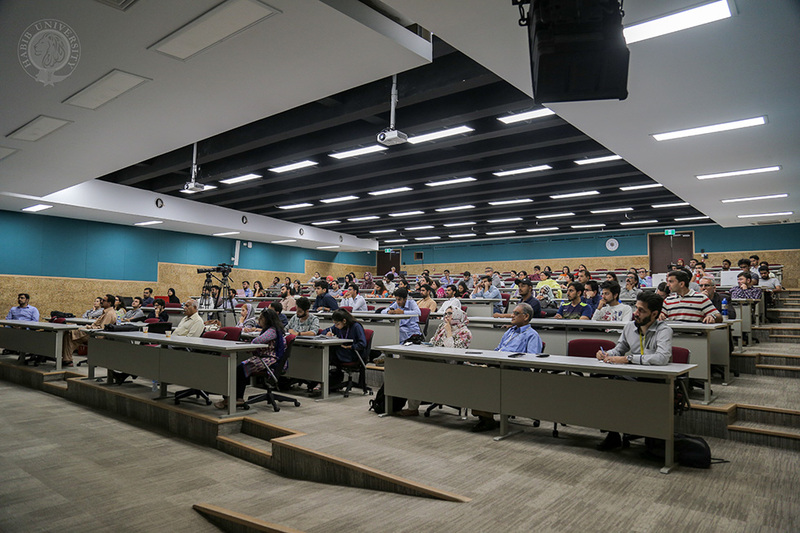 In his exhilarating speech, Dr. Najam enthralled a packed auditorium and explained why Rumi is admired globally for his mystical philosophy and that the great Sufi teacher’s message of peace has served as a beacon of light against hatred, prejudice and intolerance for over 800 years. Dr. Najam spoke about Rumi’s extraordinary life and his enduring popularity over the centuries as well as his own book Bishnau, an illustrated introduction to Rumi and his epic poem the Masnavi. As one of the most influential works of Sufism, the Masnavi is widely regarded as a cornerstone of Islamic tradition as well as a masterpiece of the Persian language. Using visual slides, he spoke about the impact that Rumi has had on individuals ranging from Turkish sultans to Allama Mohammad Iqbal. Dr Najam quoted the poetry of Iqbal in which the philosopher spoke about his reverence for Rumi and why he regarded the Sufi poet as his spiritual mentor. At the culmination of his lecture, and one of the highlights of the evening, Dr. Najam made the audience listen to a musical performance by legendary Qawwali singer Nusrat Fateh Ali Khan, based on Rumi’s poem Na Man Behooda Girde Kocha (No I am not roaming aimlessly). The late singer’s powerful vocals, combined with the poem’s deep mysticism, riveted the audience and drew them into Rumi’s message of unfolding the mysteries of the soul and blazing a trail towards a love of the Divine.